The Great TFSA Race is finally behind us. Picking three winners from the pool of remarkable entries was no small feat. Ultimately a decision had to be made and three lucky investors walked away with R5,000 each, to boost their savings. Among these was Allen Mafokwane who considers himself to be somewhat of a novice when it comes to investing. Yet, in the space of just over a year, he managed to achieve an impressive market-beating return on his tax-free investments of 22.6% (when you annualise and time-weight the returns). 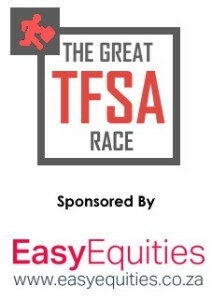 Having recently scooped the title of Best Investor in our inaugural Great TFSA Race, Savetaxfree chatted with Allen to find out how a relative newbie such as himself managed such a feat. Was it sheer luck, a well thought out strategy or a bit of both? Congratulations on walking away with the Best Investor title, did you see it coming? Thanks and no I wasn’t expecting it at all. This is one of those things where I just keep going, almost like continuously throwing or planting your seeds and you eventually reap the rewards. Can you tell us a bit about yourself and you what motivated you to go against the tide and start investing when so many South Africans are drowning in debt? 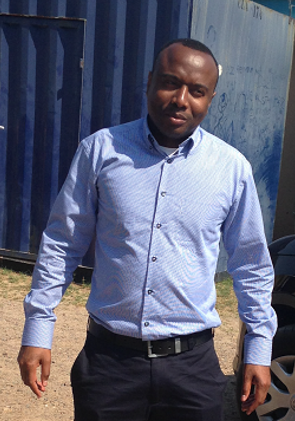 I am from rural village in Limpopo called Zebediela. Growing up in Zebedia, we were very economically challenged, so it was important for us not to waste and be able to make do with the little that we had. It is because of this that the idea of saving, spending wisely and being able to stretch my money as far as possible became so important to me. Would you describe yourself as a seasoned investor or a relative newbie? I am actually a novice, teaching myself trading skills through channels like CNBC and Business Day TV. I also find social media platforms such as Twitter quite useful, because when I need information on certain issues, people like Simon Brown and the like are happy to help and will respond when you ask them questions. What was it about EasyEquities’ offering that made it the right choice for you? I was with another provider and found my choices to be quite limited as they didn’t let me chose my own products. Also, when looking at their portfolio I wasn’t convinced that it could deliver better results than the funds which I would have chosen. When I decided to try EasyEquities, I found that, not only was the registration process simple (everything was done online and I was able to start as soon as I’d submitted my FICA documents), but I got to choose my own ETF products and had access to three accounts with one registration; a demo to practice, TFSA and an equity account. 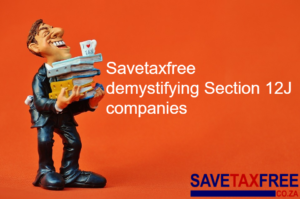 When you started your tax-free investment did you have a clear strategy as to how you were going to go about with your investment or was it a matter of luck and picking the right investments at the right time? Well normally at beginning of each year I check for trends to get a sense of what everyone is talking about and what’s going to be hot that year. Last year the rand had already started to fall which is why it made sense for me to pick offshore funds. So you chose the DB x-tracker MSCI USA exchange-traded fund and the DB x World fund. Why these funds in particular and how do you choose your investments? What I normally do is check the performance of funds I am interested in by downloading monthly reports. So when I had a look at a few funds earlier this year I found the historical performance of the MSCI USA index was quite impressive. Just in case the USA index didn’t perform, I decided to diversify with the MSCI World Index, which would still give me exposure to foreign equities. Finally, what advice would you give to individuals looking to grow their investments at the rate you have managed? My advice for them is to start; getting started is the most important thing. Once you’ve started, be consistent. Even if things don’t go your way initially, your consistency will pay off in the long run. For instance, I did not invest the full R30 000 all at once but have been consistent when it comes to my monthly contributions towards my investments.